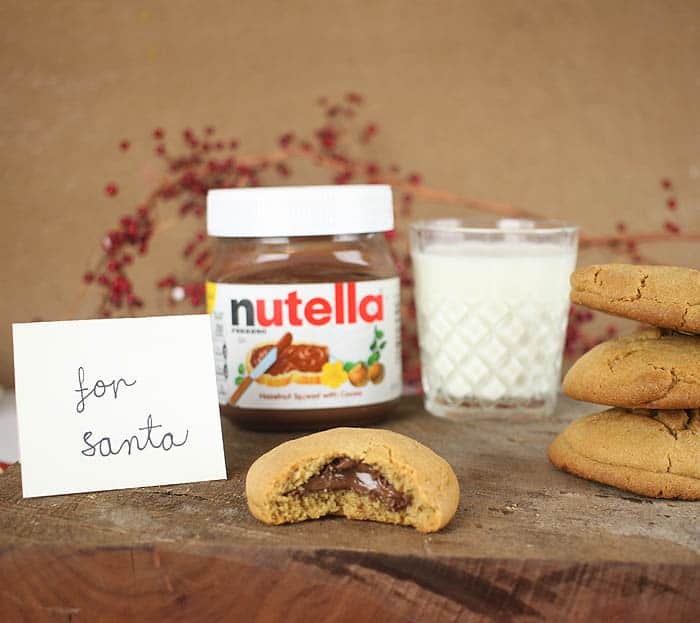 Nutella and peanut butter- talk about a match made in heaven! 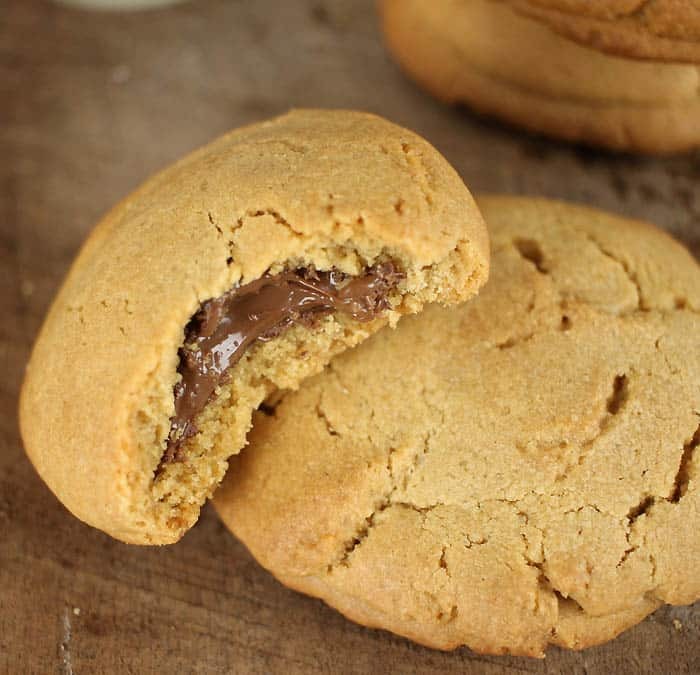 I love peanut butter cookies, so I decided to take them to the next level by stuffing them with Nutella. These cookies are really easy to make. 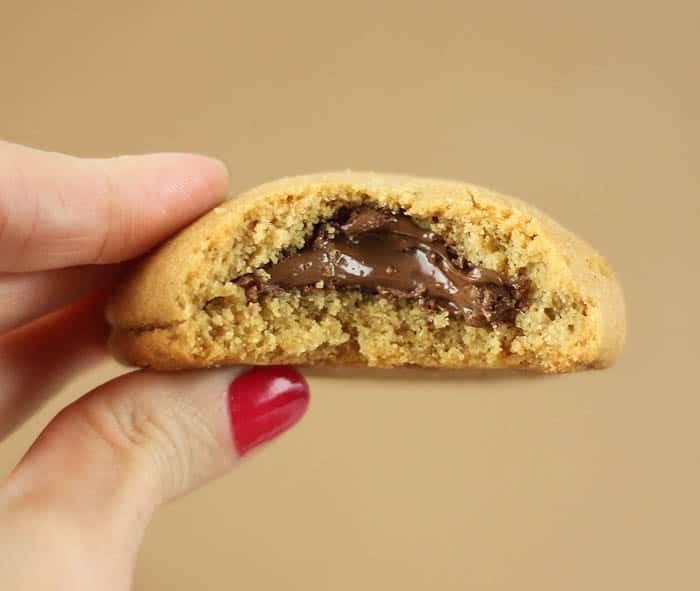 The trick is to freeze the individual Nutella fillings before baking. 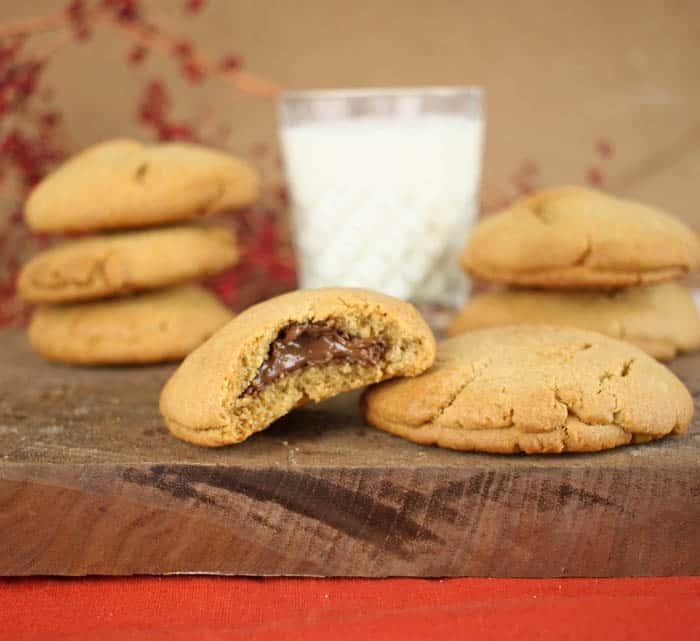 This ensures that the fillings stays inside the cookie and doesn’t melt out. Bake a batch today- I promise you that they won’t last long! 1) Line a baking sheet with parchment paper. Scoop out 14- 1/2 teaspoon balls of Nutella and place on baking sheet. Freeze for 1-2 hours. 2) Wisk together the flour, baking soda, baking powder and salt in a large bowl. Set aside. 3) Using a mixer, beat the sugars and butter together for 3-5 minutes or until creamy. 4) Add the vanilla, egg and peanut butter. Mix to combine. 6) Cover dough and chill in the refrigerator for 2-3 hours. 7) Preheat oven to 350 degrees. Line a baking sheet with parchment paper. Take 1 teaspoon of dough. Roll into a ball with your hands and then flatten it out. Place the frozen ball of Nutella in the center. Take another teaspoon of dough, roll into a ball and then flatten. Place it on top of the frozen Nutella ball. Press down around the sides. 8) Bake for 12-14 minutes or until slightly browned. 9) Let cool & enjoy! Thank you to Nutella® for sponsoring this post.